Share the post "Annual Rutgers Turfgrass Research Field Days Draws Record Attendance"
Participants in “Rutgers Turfgrass Research Field Days” listen to a Rutgers researcher discuss new varieties of turfgrass during the annual program held at Hort Farm II. On July 29-30, Rutgers held its annual Turfgrass Research Field Days at the Turf Research Farm – Hort Farm II, off Ryders Lane in North Brunswick, NJ. Over 800 industry professionals attended this record-breaking, two-day event, which has its roots in the 1920s, although regular turf field days in New Jersey did not occur annually until after World War II. In what may well be the largest “outdoor classroom” event at the university, the latest field research was passed on to industry practitioners in highly-interactive sessions in which the researchers summarized their research and the attendees listened and asked questions. Attendees also qualified for Golf Course Superintendents Association of America education points as well as pesticide applicator re-certification credits from New York, New Jersey and Pennsylvania. 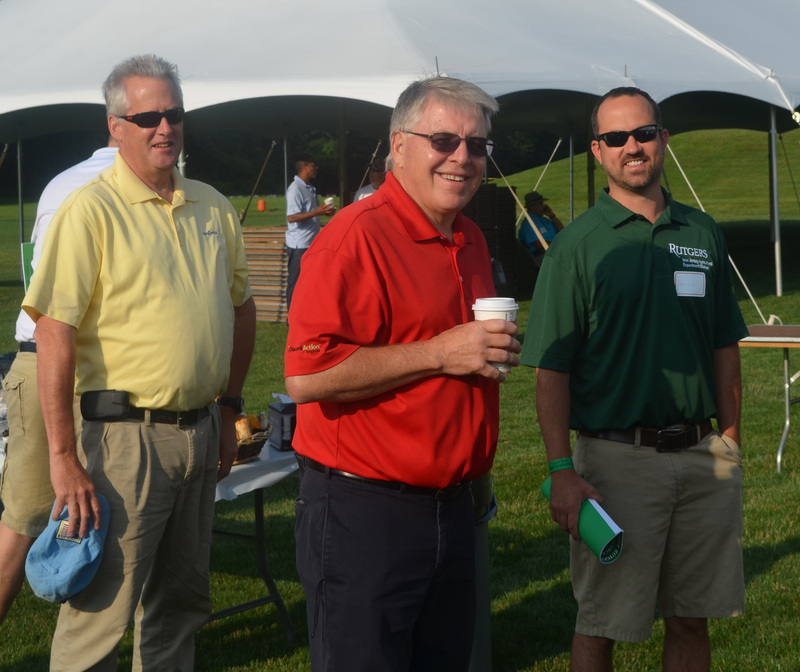 The first of the two days, the “Golf and Fine Turf Research Field Day,” was designed to assist golf course superintendents, over 400 of them, while day two, the “Lawn, Landscape and Sports Field Research Day,” focused on landscapers, landscape contractors and sports field managers. “This is one of the best attended and anticipated field day events in the country and we are very proud of our efforts to extend the very latest information on turfgrass breeding and management to stakeholders in the mid-Atlantic and Northeastern regions of the U.S.,” says Bruce Clarke, director of the Rutgers Center for Turfgrass Science. According to a 2001 Economic Survey conducted by the New Jersey Agricultural Experiment Station and the Rutgers Center for Turfgrass Science, the turfgrass industry contributes more than $3.2 billion each year to the New Jersey economy. Clarke, a professor and chair of the Department of Plant Biology and Pathology whose faculty predominantly present the cutting-edge research during the field days, stressed that while most of the attendees come from the Garden State, approximately 30 percent are from other states as far away as far as Oregon, Florida, Texas, and Washington and international industry practitioners from neighboring Canada. Two representatives from Syngenta and a Rutgers researcher (in green shirt) following registration. A principal focus of the Rutgers Turf Research Field Days is to highlight new and improved turfgrass varieties developed by Bill Meyer and Stacy Bonos, two world-renowned turf breeders at Rutgers. These new varieties possess enhanced disease, insect and stress tolerance. In other words, “we showcase the best varieties of turfgrass that use less pesticide, fertilizer and water yet still exhibit excellent turf quality,” explains Clarke. In addition, the two-day event also offered the latest information on best management practices for maintaining turfgrass in the region as well as research results from Rutgers entomologists, physiologists and weed scientists. The event also included time during both afternoon sessions for “Basic Training for Professional Fertilizer Applicator Certification,” a session conducted by Jim Murphy, extension specialist in turf management. Participants also had the option to take the examination to become certified for professional fertilizer applications. A key partner in the annual field days is the New Jersey Turfgrass Association (NJTA), the largest turfgrass organization in the state, which assists with the non-research portion of the event, including registration and logistical support for both days. 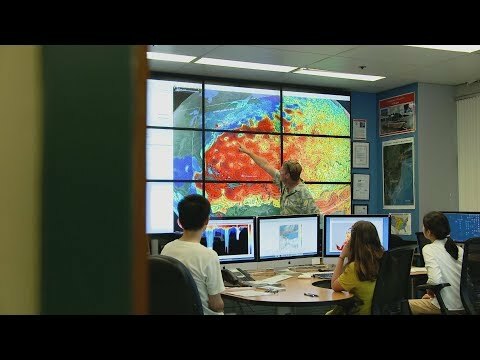 This essentially frees up the Rutgers professors to concentrate on the science and teaching during the field days. “This valuable partnership with the NJTA dates back to the 1970s and we’re immensely grateful for their help, year after year,” says Clarke. The Sports Field Managers Association of New Jersey also assisted with the Lawn, Landscape and Sports Field portion of the program and sponsored tabletop displays by leaders in the turfgrass industry. A number of other statewide organizations also participate in the Rutgers Turfgrass Research Field Days by advertising the event to their members. These include the Golf Course Superintendents Association of New Jersey, New Jersey Landscape Contractors Association, Cultivated Sod Growers Association of New Jersey and the New Jersey Nursery and Landscape Association.